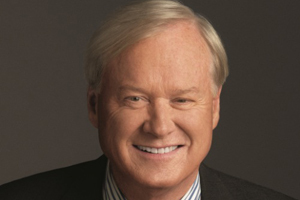 Chris Matthews. Photo courtesy of NBC. Behind every great president, there is a great speechwriter. Richard Nixon had William Safire; Ronald Reagan had Peggy Noonan; and John F. Kennedy had Ted Sorensen. It is the job of the speechwriter to distill the politician’s thoughts into meaningful sentiments and policy articulations. Sometimes it’s even the speechwriter’s charge to predict what the politician wants to say. In celebration of political speechwriting and in commemoration of Kennedy’s "A Strategy of Peace" speech at AU 50 years ago, SOC is hosting a panel discussion on March 20, moderated by Chris Matthews, host of NBC’s Hardball. The event is free and open to all students, faculty, staff, AU community, and alumni. Matthews, a former speechwriter for President Jimmy Carter, is also the author of the biography, Jack Kennedy: Elusive Hero. The panel, titled "The Art and Craft of Speech Writing: Why the JFK commencement speech at AU lives on 50 years later," will delve into the mechanics of a good political speech. It will also dissect Kennedy’s speech to uncover what made it effective. Panelists will include Lehrman, journalist Marvin Kalb, who covered Kennedy’s AU speech for CBS, and Adam Frankel, former senior speechwriter for President Barack Obama. Frankel also served as an assistant to Sorenen, working with him on his 2008 bestselling memoir Counselor: A Life at the Edge of History. For Sorenson, Kennedy’s American University speech was one of the most important of his career. He was a pacifist who had registered as a conscientious objector and peace was his passion, said Dotty Lynch, SOC executive in residence and organizer of the panel. Because of that passion, Sorensen was able to animate the speech in such a way that its message has persisted. "We’ll look at why that speech has lived on when other speeches have not. We’ll try to better understand the background of the speech and see what we can learn about presidential leadership today," Lynch said. During the panel the winner of the speechwriting contest "What Would a JFK Say Now?" will be announced. AU students were asked to answer that question by writing a commencement speech no more than 1,500 words, which outlined what a president should say today on any broad world issue. Submissions were due March 6. The winner will receive a $500 prize. Originally published on March 5, 2013.